Our librarians make every effort to keep our branch library filled with the books you want to read. Each month, books which have not been checked out for many a day or are outdated or in poor condition, are removed from circulation and replaced with new volumes for your reading pleasure. 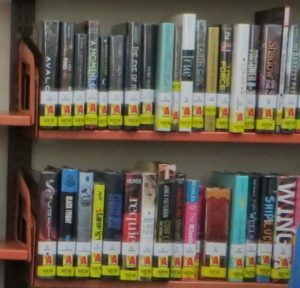 Click on New Adult Titles-February-March, 2019 to see the list of the newest books for adults that have been added to the San Carlos Branch Library’s collection. 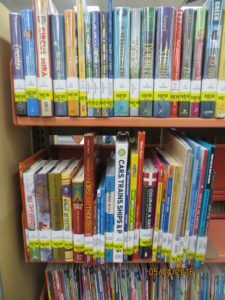 In the San Carlos Branch Library, you can find these books against the wall and to your immediate right as you enter the right side of the library. YELLOW tape on a book’s spine denotes that it is a new title. 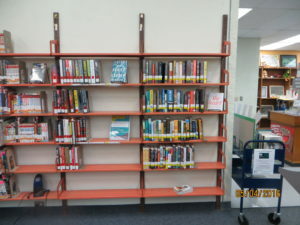 They can be found on the library’s “new titles shelves” for about six months before joining their friends in the general circulation.Standard checkout and renewal guidelines apply. 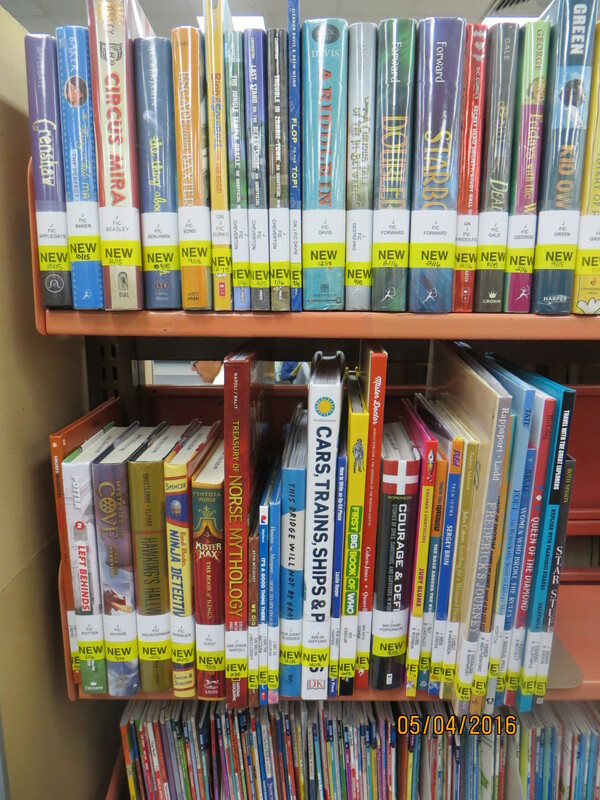 New New Youth-Titles, February- March, 2019 can be found in the Children’s section of the library. New Picture Books are found on the top left shelf of the Children’s Area under the large bulletin board. Other new titles are found on a specially marked shelf in the Children’s area.